Developing a strong network, where each organization can learn and apply the Sphere standards to improve their humanitarian accountability is one of Mr. Kep Kannaro’s goals. 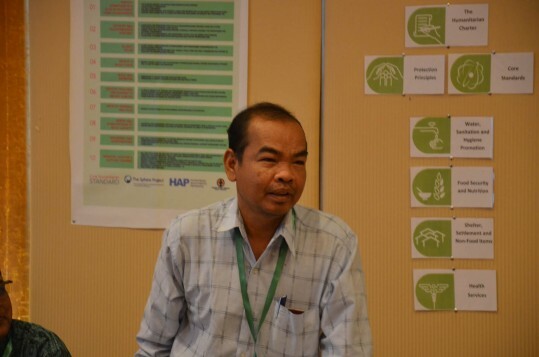 Kannaro, the new Sphere Focal Point for Cambodia, is also the Cambodian Humanitarian Forum’s (CHF) Chairperson and Executive Director of Partnership for Development in Kampuchea (PADEK). Convinced about the potential of the Sphere standards and the importance to enhance quality and accountability of humanitarian response in Cambodia, Kannaro wanted to enhance the expertise of the Cambodian civil society organizations. In 2012, with the support of USAID Office of Foreign Disaster Assistance (OFDA) and Asian Disaster Preparedness Center (ADPC), Kannaro created the Cambodian Humanitarian Forum, a network of national organizations dedicated to strengthening emergency response capacities of national organizations. Since its creation, CHF has organized several capacity building initiatives, including Sphere standards trainings, and established an information and resource-sharing center. 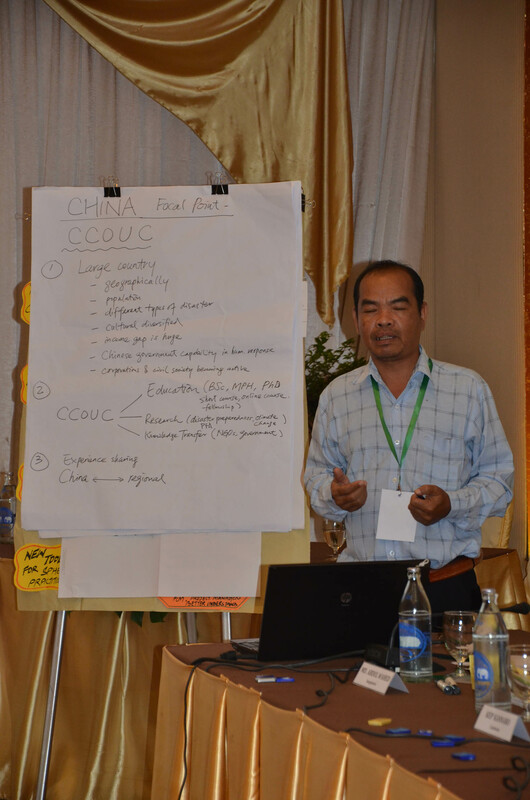 CWS-P/A approached CHF this year based on a consultative process with some Cambodian organizations about the possibility of having a Sphere Country Focal Point in Cambodia. CHF accepted this role. 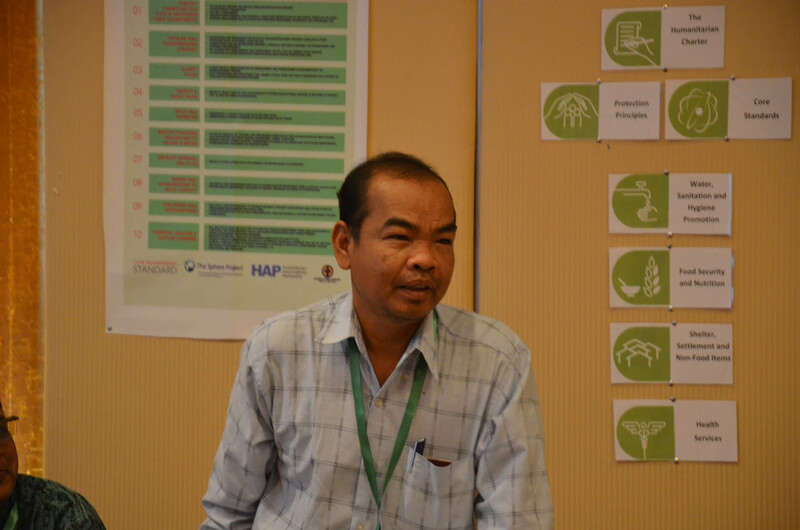 As Chairperson of CHF, Kannaro took it as an opportunity to learn from his peers in the region and to transfer the acquired knowledge to his Cambodian counterparts. Kannaro and CHF exemplify of how capacity building and an effective networking platform can strengthen the promotion and application of the Sphere standards in humanitarian programs. They also demonstrate the importance of having Sphere champions, the ones who can inspire, empower, and engage more organizations for improving humanitarian effectiveness and enhancing the quality of aid delivery to the communities. 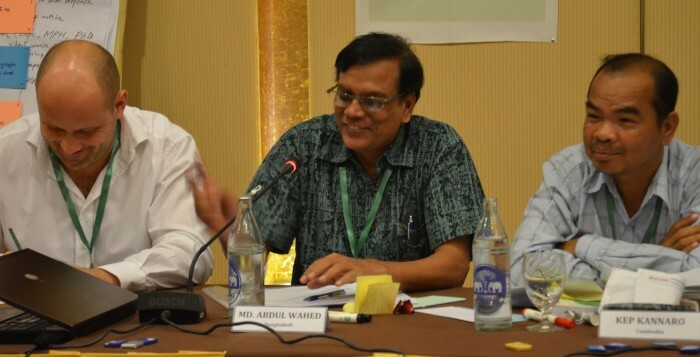 As the Sphere regional partner in Asia, Community World Service Asia supports the promotion and implementation of the Sphere standards training, Q&A deployments, technical support, and events such as this forum. In collaboration with The Sphere Project, we organized the Sphere Focal Point Forum, twice, in 2011 and in 2014. This year’s Forum was jointly financed by The Sphere Project, Diakonie-Sweden, Act for Peace and Community World Service Asia.